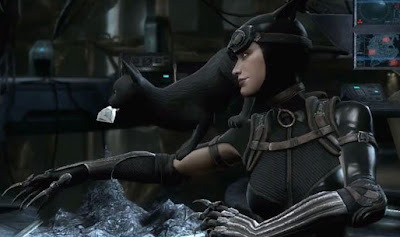 In terms of stock right now, Catwoman is the character whose got the creme. In fact if she was privy to how valuable her character has become in the wake of The Dark Knight Rises, she'd probably even attempt to steal it. Hence it is only natural Selina Kyle and sidekick kitty are the latest character additions to upcoming DC brawler video game, Injustice: Gods Among Us.